Exquisite silk ikat embellished with hand embroidery & crafted into a delightful Potli. 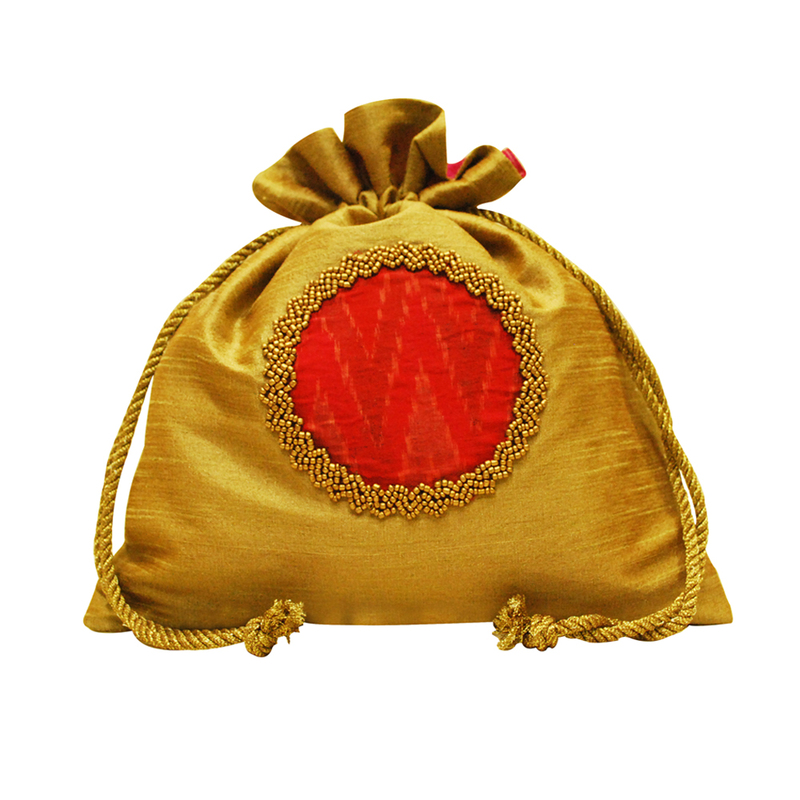 Bring the rich textile heritage of India into your life with this elegant creation. As exciting receiving and giving gifts is, the act of gifting and packaging is mostly not eco-conscious. Usually available in paper or plastic, gift wrappers are almost always very quickly and thoughtlessly discarded. Since the act of giving is important to us, we set out to find an eco-solution to this problem. Our upcycled cloth Gift Bags proved to be the perfect solution. Our gift bags are even more special because they can be reused to spread the love or treasured as carry bags or a souvenir.